We provide eco-friendly toys, cozy cage-free bedding and bowls for all dogs to share. Our high-quality, grain-free house diet is avaiable on request for a per meal fee. Grateful Dog offers Sacramento area dog owners the absolute best in dog daycare, cage-free dog boarding, dog walking. We go beyond the traditional dog kennel. Grateful Dog proudly offers a self-serve dog wash and a full service dog grooming salon to keep your dog looking (and smelling) great. See our services and rates page. 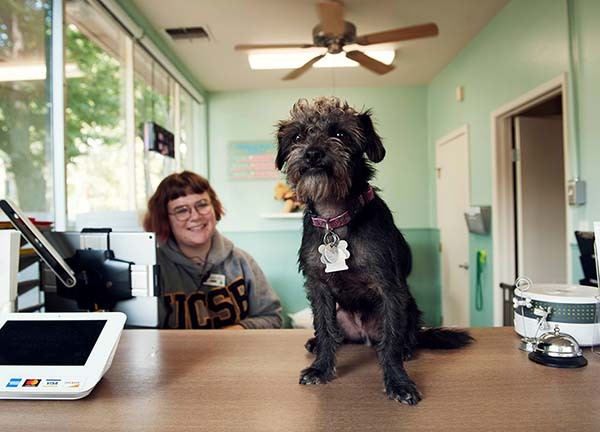 Sacramento dog daycare, dog boarding, dog walking, and dog grooming all in one great location at Grateful Dog! When I first started Grateful Dog, I looked to model the business on the way I wanted my own dogs to be cared for: free to play all day and sleep in a comfortable room with other dogs and humans, free of cages. 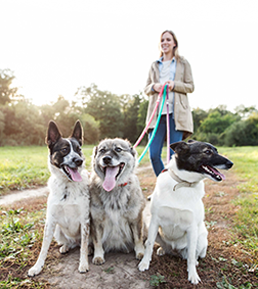 Building off of my experience as a manager of a Bay Area dog daycare and understanding of pack-mentality, I opened Grateful Dog in my home, offering daycare, boarding and group dog hikes. 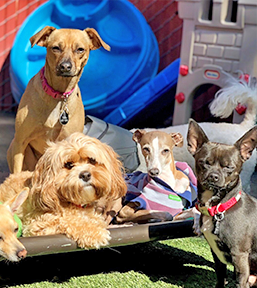 This initial endeavor has snowballed into what Grateful Dog is today: Downtown Sacramento’s first dog daycare and cage-free boarding facility. The idea of Grateful Dog grew from my love for dogs and the desire to improve their quality of life. It is my belief that healthy social interactions and regular exercise make for a happier companion. Grateful Dog is proud to offer you the peace of mind that your dog has a safe, stimulating environment to sleep, play and be loved. 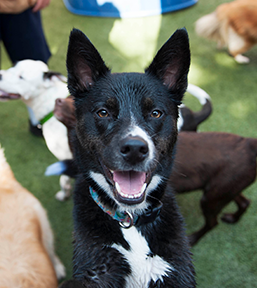 Grateful Dog offers Sacramento area dog owners the best in dog daycare, cage-free dog boarding, dog walking. We go beyond the traditional dog kennel. A well groomed dog is a Grateful Dog! Grateful Dog proudly offers a self-serve dog wash and a full service dog grooming salon to keep your dog looking (and smelling) great. A Grateful Dog is a "Green" dog! 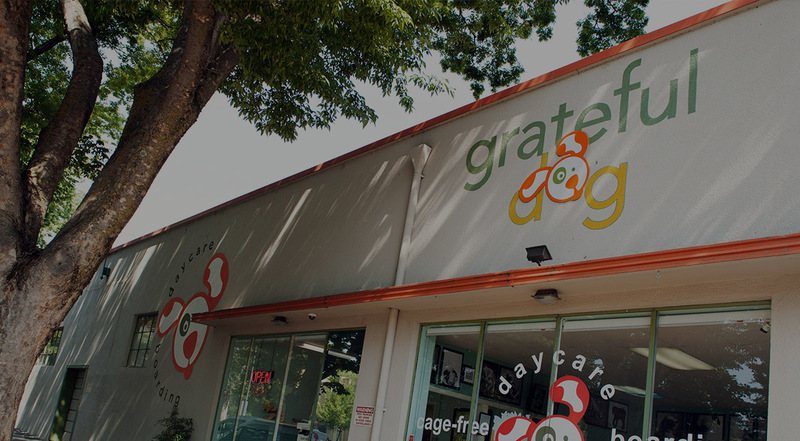 Grateful Dog is conveniently located in midtown Sacramento, at 17th and E Street. Stop by for a visit! We now offer in-home dog walking services! Short on time? Let Grateful Dog do your dog walking for you. We now offer dog walking out of your home for those times when you need to work late or just need a helping hand. We have almost 2 dozen caretakers for your pup. Come meet them anytime. 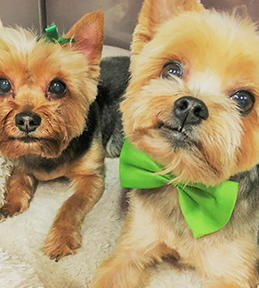 We've proudly served Sacramento’s dog owners for over 11 years. 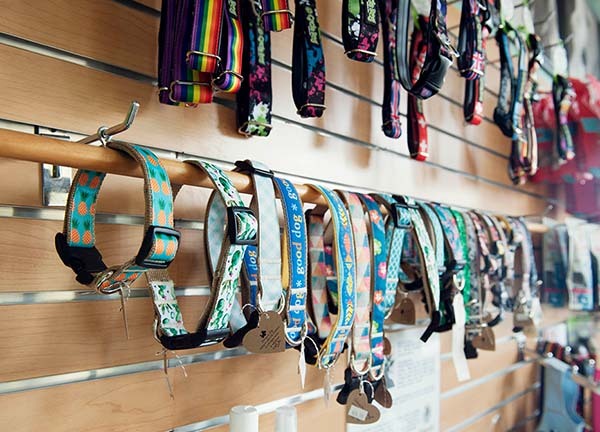 Even though we've hosted a lot of dogs over the years, we ensure your pup always gets the attention they deserve. We're always eager to here from our customers. Questions, comments or concerns? Just let us know!